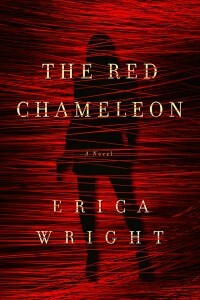 The Red Chameleon is a crime novel that revolves around private investigator Kathleen Stone. With a little help from the best wigmaker on the Atlantic seaboard, Kat can take on a variety of personas, from a posh real estate agent to a petulant teenage boy. She was once a valuable undercover cop for the New York Police Department, but since her early retirement following a botched case, she has gone a little soft. These days, she mostly catches cheating spouses in flagrante. When one husband ends up not so much adulterous as dead, Kathleen must use her rusty skills to catch a killer. It’s due out in paperback on May 15th. In first grade, I caught scarlet fever and was out of school for a month, maybe longer. The doctor gave my family strict rules, and I wasn’t allowed to even walk to another room by myself. My mom would go to the library, though, and bring home stacks of books. It was almost worth being sick, staying home and reading all day. If my love of books wasn’t obvious by then, I was an addict afterward. My background’s in poetry, so writing fiction required some changes. Walking around the neighborhood for an hour, debating the sound of “jubilee” versus “parade” wasn’t going to work. So I started to set daily goals for myself, usually time rather than word count. And it’s satisfying in an unexpected way, what I imagine others must feel like when training for a marathon. I just finished Kay Kendall‘s debut Desolation Row. The backdrop of the Vietnam War added a complexity to the story that I really enjoyed. And I’m a few chapters into Laurie R. King‘s terrific mystery The Bones of Paris. In the non-crime arena, Alan Michael Parker‘s The Committee on Town Happiness is one of the most unique novels (short story collections?) that I’ve read in awhile. I return to Jane Eyre about once a year. It’s not the romance that lures me in—or at least not only the romance—but the way Brontë wrote about equal rights. While Mr. Rochester’s smoldering might be appealing, Jane’s “poor, obscure, plain, and little” speech really makes my heart beat faster. Salman Rushdie’s The Moor’s Last Sigh is another favorite and, now that I think about it, shares a similar theme of wanting to be appreciated. A more recent frontrunner would be Marisha Pessl’s Night Film, a masterful thriller. I’m intentionally pretending that this question refers to only fiction because choosing favorite poetry books might give me hives. I tell my poetry students to separate the writing from the business, and I try to follow the same advice. My ratio is probably about 90/10. If I have nine hours a week to work on a book, I’ll spend one hour on my website or submissions. I want it to be easy for readers to find me via social media, but at the same time, I want to be a good literary citizen, supporting the work of other writers at least as much as my own. I’ll confess that I used to start each day with a Coke, but I’ve recently (and reluctantly) given up that habit. So I start the kettle for tea immediately. Nothing else is as predictable, although there’s always grading and responding to student emails. I now teach entirely online, which I figure gives me an extra 1-2 hours a day from lack of commuting. If I don’t spend at least that much time on writing, I’m a bit disappointed in myself. I’m also trying to eat as much Cuban food as possible since I will only be living in Florida for a few more months. An enormous, clean desk. Anything after that is being greedy, but windows overlooking a cityscape would be nice. When I lived in New York City, my desk looked onto an alley. There were pigeons for my cat to befriend, so I didn’t complain too much. In my first poetry workshop, I brought in a narrative poem about men clearing a field of snakes in my rural hometown. My workshop professor read it, then sort of threw up his hands. “We get it! Nature and humans live side by side.” It’s funny, it could have hurt my feelings, but it was an ah-hah moment for me instead. I didn’t realize that I kept returning to that theme, so it made revising easier, exploring new subjects. 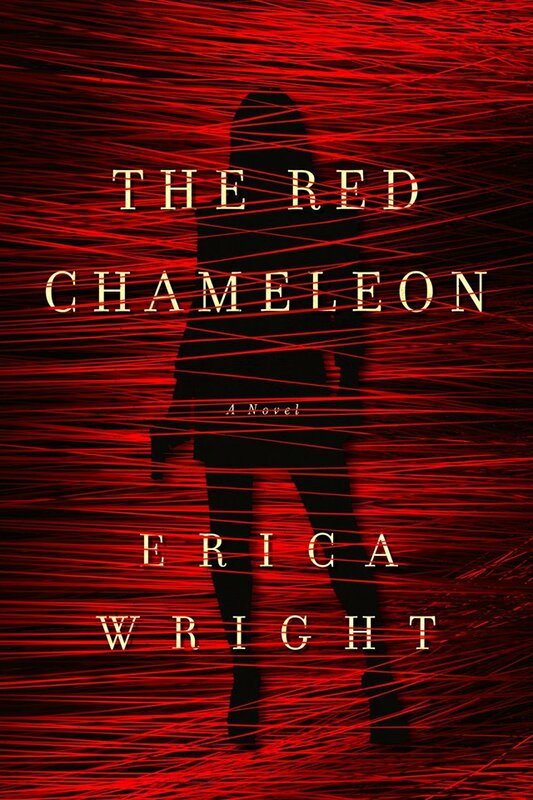 Erica Wright is the author of the poetry collection Instructions for Killing the Jackal (Black Lawrence Press, 2011) and the novel The Red Chameleon (Pegasus Books, 2014). She can be found on Twitter @eawright.